‘XTalk compensation’ in Settings is on by default. That means that cross talk on the headset will be cancelled. If you use a headset or MIKI cable and the radio-station hears themselves back too loud, turning compensate On is advised. 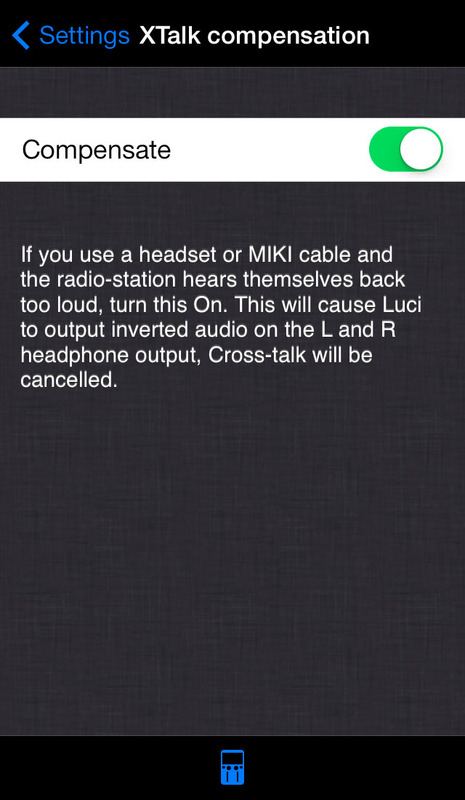 This will cause LUCI to output inverted audio on the L and R headphone output, thereby cancelling any cross-talk back into the microphone input via the headset connector itself.